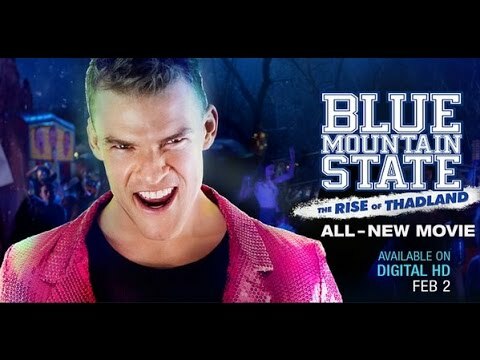 In the midst of a hotly contested campaign season (for the Oscar and the Presidency), one victory is undisputed: the second-highest viewed film online is a college comedy, Blue Mountain State: The Rise of Thadland. Co-Produced and co-financed by Union Entertainment Group (UEG) in association with Lionsgate Films, and released on iTunes February 2, the movie version of the popular Spike TV series hit the #1 spot in North America and numerous countries around the world. The film was Co-Produced by UEG SVP Noah C Haeussner and Co-Executive Produced by Union Editorial President/Managing Partner Michael Raimondi. Post Production, VFX and Online were done at Union Editorial. Directed by Lev L. Spiro, Blue Mountain State: The Rise of Thadland was written by Eric Falconer & Romanski. “It has been an honor to bring this cult TV comedy to life for its incredibly broad fan base while expanding UEG's reach into more commercial fare,” said Haeussner. 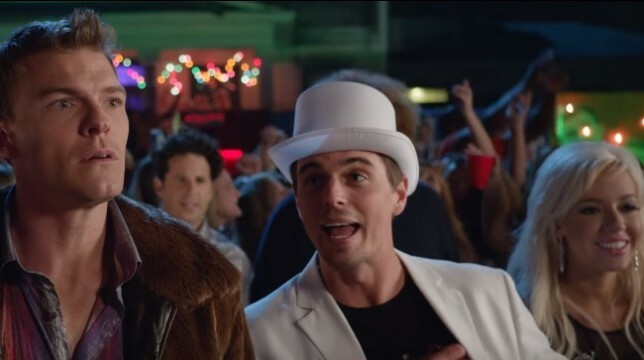 “Having ‘BMS The Movie’ at the top of the charts highlights Lionsgate Film's brilliant direct-to-user marketing campaign.” UEG’s credits include the new Janis Joplin doc Janis: Little Girl Blue as well as indie features Hateship Loveship and The Brass Teapot, all of which premiered and sold at the Toronto International Film Festival.